What do people dislike most about their jobs? And the answer is: (d) – None of the above! The thing people dislike MOST about their jobs is: THE OFFICE HALLOWEEN PARTY! There’s always ONE person who has an absolutely amazing costume. This costume is so creative, so perfect in every detail that you’re sure the costume designers at Disney have this person on speed-dial. This person also has the perfect accessories, makeup, and shoes to match the costume. Nothing you put together could remotely come close. You dread shopping for your costume. You dread the Halloween party. Fear no more! 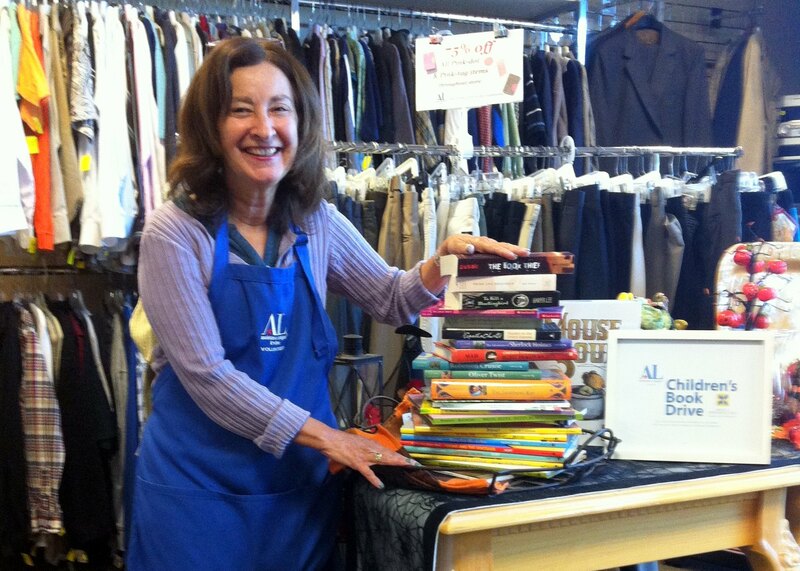 Hurry over to the Assistance League of Irvine’s thrift shop. We have an incredible collection of Halloween costumes just waiting for you. There’s sure to be one that makes YOU the person with the costume everyone talks about. Turn the office Halloween party into something you welcome – not something you hate! Last week I made a trip to Washington, D.C. Forget Congressional confusion – let’s talk about wardrobe confusion. There I was with my suitcase, trying to decide what to pack – because, as we all know from watching “Scandal,” people in Washington do not dress like people in Los Angeles. My usual daily summer outfit (workout pants and my In-N-Out t-shirt) just wouldn’t cut it. And with humid, 90-degree weather predicted, my winter pants and sweaters would be too hot. The thrift shop to the rescue! I found a pair of gray pants (suitable color for October in Washington!) that were dressy enough for the city but casual enough for travel, and would match lots of different-colored tops. These amazing pants were only $5.00 and were so versatile I was able to get by with just a carry-on bag – thus saving me the charge to check a bag each way. With THAT savings I was able to splurge on a dinner of Maryland crab cakes. Lesson learned: no need to go to fancy travel catalogues for your travel wardrobe – just visit the ALI thrift shop!